The vitriolic hatred between the left and the right began in the George W Bush administration and has been growing steadily since then in a worsening trend that shows no sign of leveling off. In the media, it's been clear for years that journalists in general have no idea what's going on in the world, and particularly have no idea what President Donald Trump is doing. For example, one Business Insider news story, apparently written by someone on Mars, says that the summit means that henceforth the world will be ruled by Beijing, not by Washington. For some reason, everything that Trump says and does makes sense to me. That doesn't mean he doesn't make mistakes, but it still makes sense. And that certainly wasn't true of Obama, who never made any sense to me at all, and the results speak for themselves. I believe that the reason that everything that Trump does makes sense to me is because of Steve Bannon, who is an expert on Generational Dynamics, and who used to be Trump's principal advisor, and is now, according to some reports, an informal advisor. Very little of the media coverage of the summit makes any sense since everyone seems to be completely baffled by Trump, which is why I make a point of saying that what Trump does makes sense to me. The pundits on the left make bizarre claims that Kim is making a fool of Trump. 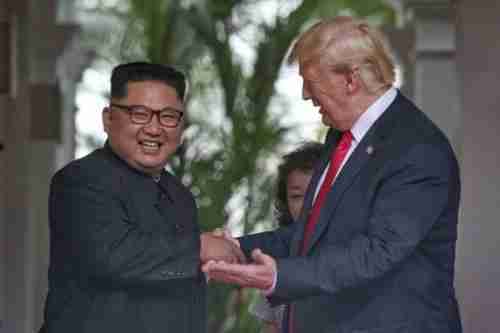 I remember particularly when Trump canceled the summit a couple of weeks ago, Nancy Pelosi said that Kim was having a "giggle fit" over Trump's naïveté. This woman is so incredibly stupid, she should be locked up in order to protect her from herself. But pundits on the right aren't too much better, since they're equally baffled by Trump, and seem reduced to expressing hope that everything all works out. "Trump is alienating our allies, including Canada's prime minister Justin Trudeau." Trudeau did something very stupid -- he dumped on Trump just as Trump was leaving for the crucial Singapore summit, completely undercutting Trump's negotiating position. To preserve his negotiating position with Kim, Trump had no choice but to come down hard on Trudeau. The message to Kim was: Don't dump on Trump, or you'll regret it. Actually, Kim had already gotten that message when the North Korean press dumped on Trump, and Trump canceled the summit, forcing Kim to make amends. "Trump is lauding Kim, while he's condemning our allies." Well, if you want to get someone to agree with you in a negotiation, then complimenting him for agreeing with you really helps. What's interesting about the Singapore meeting is that Kim appeared to be looking up to Trump as a paternal father-figure, and Trump was playing into that, in order to develop a friendly relationship with Kim. One possibility is that Kim is dissatisfied with the older staff in North Korea, and is looking at Trump as more sensible than they are. "Trump gave Kim an important concession -- meeting with him -- and got nothing in return." I don't even know what this means. This "concession" is worthless unless it leads somewhere. You have to meet with someone to negotiate with someone. Furthermore, what Kim knows is that the gains from this concession can be lost with a single tweet from Trump -- as happened with Trudeau. "Trump gave Kim an important concession -- canceling the war games -- and got nothing in return." Canceling the war games was a very smart move. It's not a concession at all, since the war games can be quickly reinstated at any time. It also strengthens Trump's negotiating position, because when China says, "Kim gave up something, now you have to give up something," Trump can say, "I already gave up something -- the war games. Now it's Kim's turn." "Trump had no nuclear experts with him at the meeting, and risked making a major technical mistake." Having an expert present at the meeting can be dangerous, because it means that you're committed to agreeing with whatever the expert says at the meeting. Without an expert present, Trump can say "We'll have the experts work out the details later." "The agreement should have been worked out in detail in advance." That's one way to do it. Trump wanted to do it a different way -- meet with Kim on a personal level and work out the details later -- that's equally valid. "The final agreement contained no details." That's intentional. The details will be worked out later. Recall that I've said in the past that the North Koreans have had one and only one objective: Use diplomacy to force the Trump administration to lift the sanctions, while continuing nuclear weapons and missile development. Kim has completely failed in this objective. They had wanted, at this point, for Trump to be on the defensive, and force him to make a concession, specifically to reduce the sanctions. Trump has defeated that objective in advance by canceling the war games. Remarkably, the ball is now in North Korea's court to make a concession -- to provide the details for how they will denuclearize according to the CVID template -- complete, verifiable, irreversible denuclearization. If Kim can't come through, then the war games will be back on, and the situation will return to square one. Also, Kim would receive extreme paternal disapproval from Trump. That turned out to be exactly right, as the North Koreans immediately started suing to get the summit back on track. Trump's objective is to get the North to denuclearize. As I said, everything Trump does makes sense to me, and everything that Trump has done with respect to this negotiation has been exactly right. If it's possible to get the North to denuclearize, then Trump has done what needs to be done to accomplish that goal. It's not Kim's decision. It's the decision of his military. As I've said before, I believe that if Kim seriously tried to force denuclearization, he'd be shot dead by one of his generals. North Korea has spent decades reaching nuclear nirvana, and they will not give it up now, even if Kim has stars in his eyes. The nuclear industry is part of a major military complex that controls a huge part of the economy. If the North starts reducing the military, it would be a major economic dislocation for the North. China is still full-on preparing to launch a war with the US, and North Korea is just a side show anyway. There are basic Generational Dynamics principles at work here. First, it's a core principle of Generational Dynamics that, even in a dictatorship, major decisions are made by masses of people, by generations of people. The attitudes of politicians are irrelevant, except insofar as they represent the attitudes of the people. The reason that generational theory works is that population generations are almost completely predictable, irrespective of what politicians want. In this case, it means that decision to denuclearize will be made by the people, not by Kim. 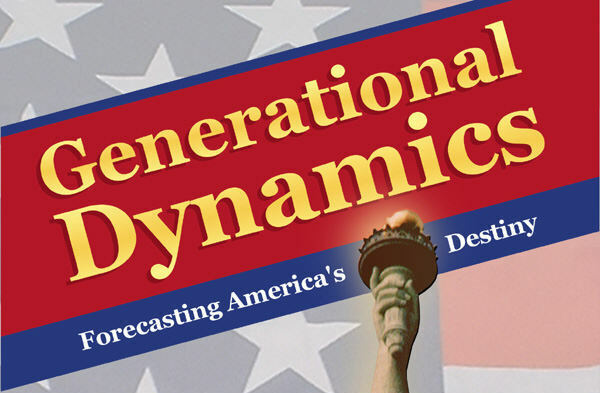 Second, Generational Dynamics tells us that there are many problems that have no solution. By that I do not mean that no politician has yet been clever enough to solve the problem. What I mean is that no solution exists. "My good friends, for the second time in our history, a British Prime Minister has returned from Germany bringing peace with honour. It later turned out that Hitler was planning war with Britain on the same day that he met with Chamberlain.